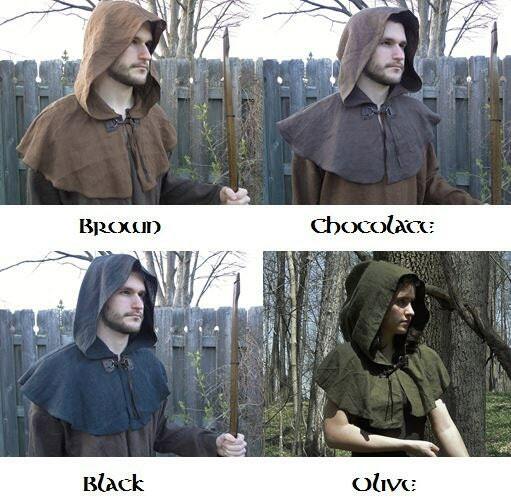 Medieval Hood Linen Capelet - Robin Hood, Renaissance, Archer Ranger - 4 Color Choices! 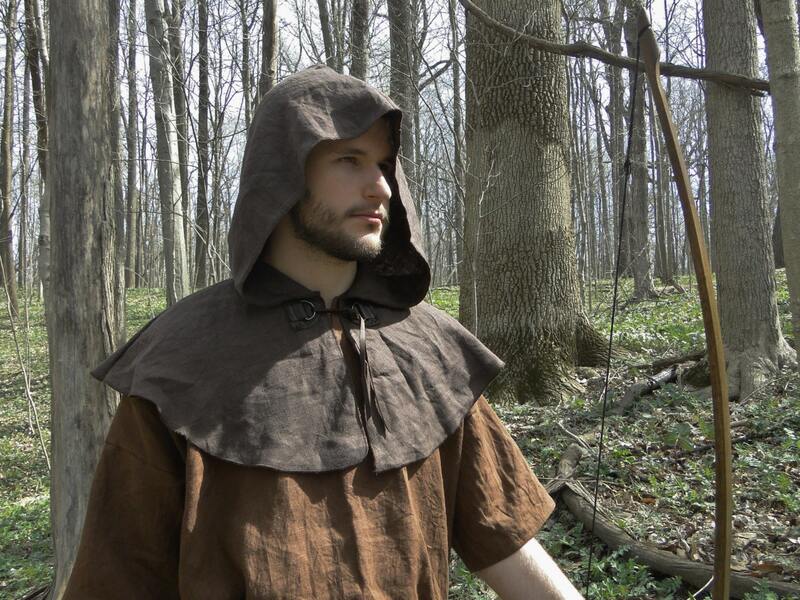 Classic Medieval style hood. Made with high quality linen and genuine leather tie closure at neck. 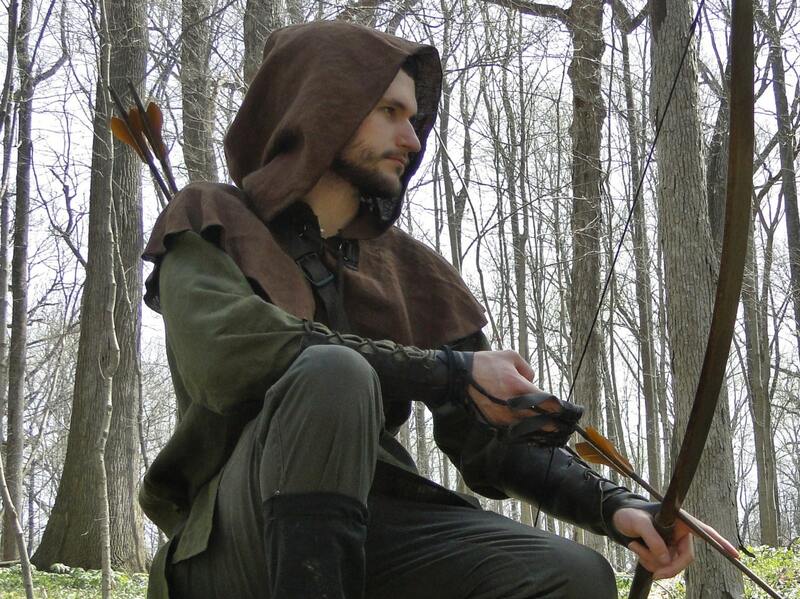 Great for archers, rangers and common medieval costumes. 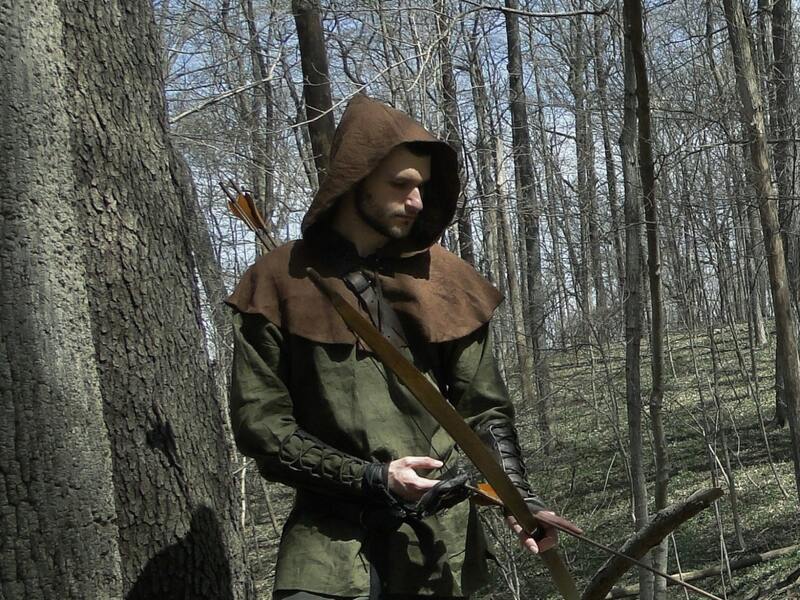 Adult one-size-fits-all, for men or women. Lightweight, soft & breathable. 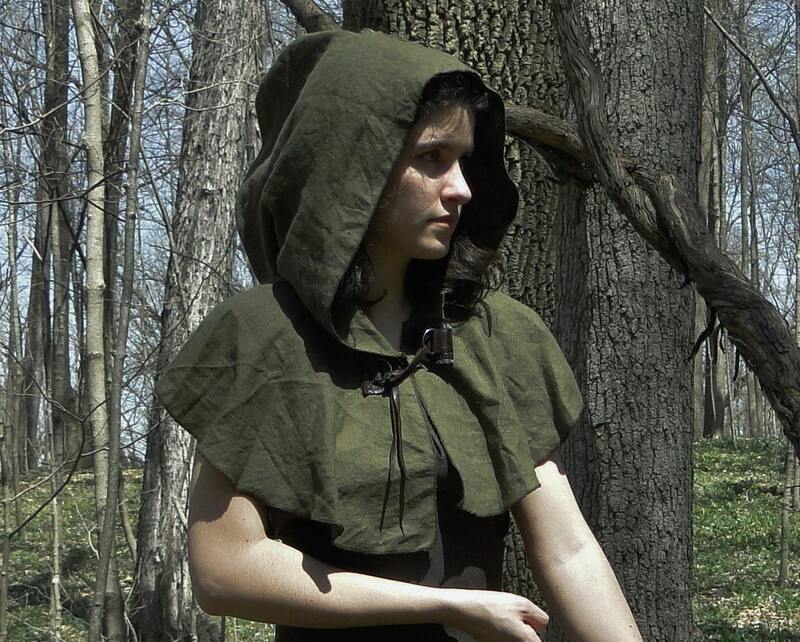 The full outfit is available in our shop, sold separately. Thanks so much. Just what I was looking for. Just great, perfect fit, timely delivery perfect. 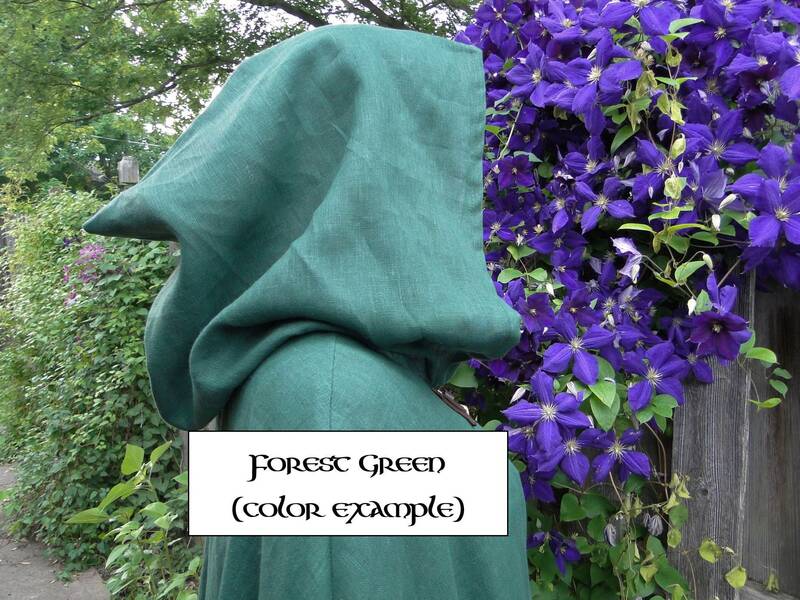 Beautiful item, will use this seller again.